What Could IR35 Private Sector Reforms Mean For Contractors? Just a year after the major public sector shake-up caused by the IR35 reforms, similar changes are likely to happen in the private sector. The widely anticipated IR35 consultation, published recently by HMRC, aims to increase compliance for the self-employed and ensure that contractors are paying the correct levels of tax and National Insurance. The IR35 reforms in the public sector have had a huge impact and now they look like they are going to hit the private sector…possibly as early as April 2019. Many contractors in the private sector (and their Accountants) are wondering how they might be affected. IR35 was originally introduced in 2000 and specifically aimed at limited company contractors, as a counter-measure to tax avoidance. Limited company contractors can effectively be their own boss and therefore they pay their tax differently to permanent employees. However, IR35 was brought in to combat ‘disguised employees’ – who HMRC believes would be employees of the client if they didn’t work through an intermediary, such as a limited company. IR35 is specifically concerned with the working relationship between the hirer and worker, and that if someone is performing the same role as an employee, then they should be taxed as one. Whilst the flexibility of the relationship with contractors generally suited both the end clients and the contractors, HMRC was potentially losing out on tax revenues. Previously, contractors were fully responsible for determining their own IR35 status. If any unpaid taxes or penalties were held against them, it was their own limited companies who would have been liable. Any potential liability for unpaid tax then shifted following the changes introduced in April 2017. The implemented IR35 changes in the public sector meant that the responsibility for determining the IR35 status of a contractor was taken out of the hands of the contractor and into the hands of the end client. If an incorrect IR35 judgement was made, then the end client would now be held liable for any tax. This meant they would have to take much greater care when assessing contractors for hire, to avoid leaving themselves vulnerable to extra costs. Trying to compliantly keep hold of contractors, without incurring significant administrative and financial costs, became a huge challenge for many in the public sector. As a result, many took a ‘blanket approach’ saying that none of their contractors could use a limited company / Personal Services Company (PSC). This meant the contractor became an employee, worked through an umbrella company or went to work abroad. This resulted in an increase in the number of companies closing down using the Members’ Voluntary Liquidation (MVL) process. For other contractors, they merely moved away from the public sector and went into the private sector. There has been a significant backlash to the IR35 changes in the public sector – from many parties including the hiring companies, the contractors and their accountants. Despite this, the government is looking into the possibility of extending the changes to the private sector. Many feel that, whatever the outcome of the consultation process, the changes will be introduced – as HMRC will not want one system for the public sector and another for the private sector. Contractors in the private sector are justifiably concerned about how they will be able to continue to operate should the IR35 reforms come into effect for them, as questions will continue to rise about the nature of self-employment. 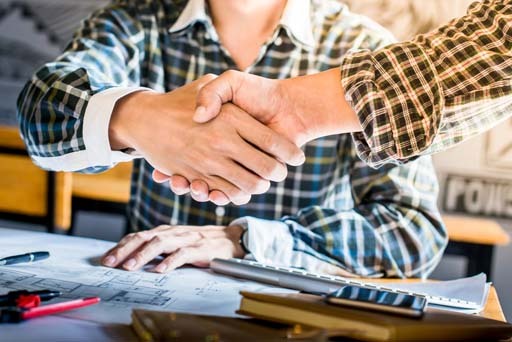 Many experts feel that the ‘hiring’ companies in the private will not adopt a ‘blanket approach’ to the contractors they use. So, as ever, the future is uncertain. If the IR35 changes for the private sector mirror those for the public sector, there is likely to be an increase in the number of contractors closing down their limited companies to become a full-time employee or to retire or move overseas to work. A Members’ Voluntary Liquidation (MVL) could be the best option for those contractors to close down their companies – especially if they have more than £25,000 worth of assets in the company. An MVL is a very tax-efficient way to close down a solvent company because the funds to be distributed are subject to Capital Gains Tax, rather than Income Tax. If you qualify for Entrepreneur’s Relief (ER) you can benefit from a 10% marginal rate on distributions. This means there can be considerable tax savings for the shareholder(s) of the company. Clarke Bell provide a nationwide, £995 MVL service to help any directors who are looking to close down their solvent companies. Previous Almost 200,000 Businesses Are Facing Court Due To Business Rates. We can help. Next What is the best way to close down your successful company?